Many American cities, at this point, are waking up with a sort of hangover from the “Interstate Era” that demolished urban neighborhoods to build life-sapping highways. Heck, some really proactive cities are demolishing their underused, elevated, antiquated urban freeways. 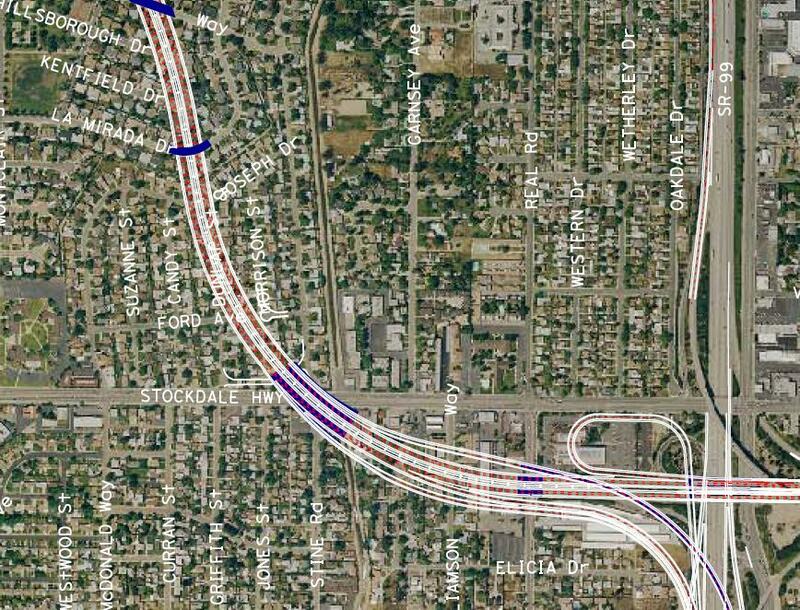 The secretary for the Westpark Home Owners Association, a group of residents whose houses would be destroyed if the Centennial Corridor freeway segment is built, threatened the Bakersfield City Council with a lawsuit Wednesday if the project continues. “If you approve the validation action this evening, we will take you to court,” WHOA secretary Marc Caputo told the council as more than 40 Westpark residents sat and listened to council members share their doubts about going into debt to pay Bakersfield’s share of the federally funded Thomas Roads Improvement Program. After more than an hour of debate, the council voted 6-1 to approve a validation action. It was the legal first step toward later borrowing as much as $270 million, to match $570 million in federal funds secured for the city by former U.S. Rep. Bill Thomas, R-Bakersfield. Some cities never learn (see also: St. Louis, Cleveland). Elsewhere on the Network today: Streets.mn remarks on what a difference a stripe of paint can make. Switchboard NRDC celebrates a new California law that tackles the supremacy of car capacity in transportation planning. And This Big City explains Curibita’s 12-point plan for becoming a bike friendly city.